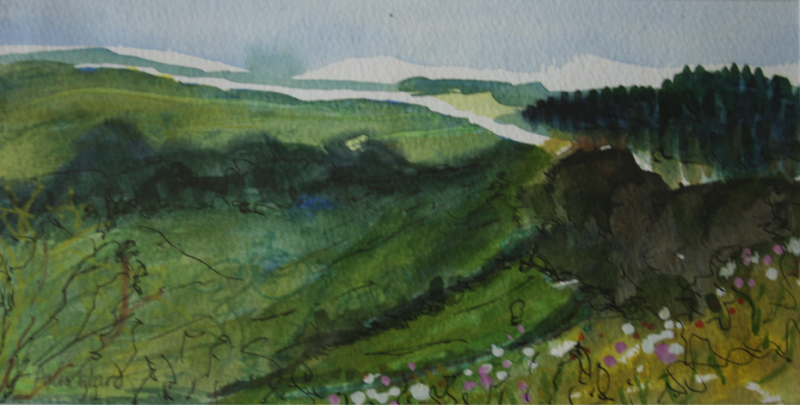 This watercolour was created from a spectacular viewpoint which lies on the Pickering to Whitby road. Just before the road sweeps down steeply to the Saltersgate Inn there is a stunning vista stretching into the distance. 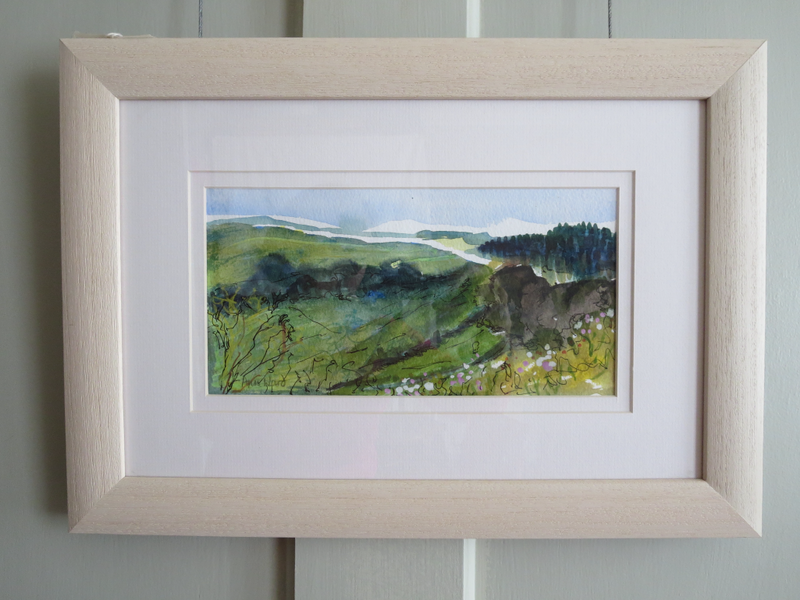 You can see the approaching weather from miles away and the colours of the moors change with the seasons.